HD Video Converter Factory Pro 9.4 war am 22. März 2016! als Giveaway verfügbar! 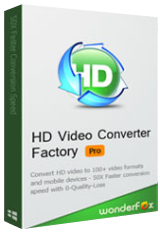 HD Video Converter Factory Pro ist mit der fortgeschrittenen High-Definition (HD) Videokonvertierungstechnologie ausgestattet. Es hilft euch beim Konvertieren von SD-Videos in HD-Formate - und umgekehrt, inklusive 4K Standard! Der HD Video Converter beinhaltet über 200 Videoformate und ermöglicht bis zu 50 mal schnelleres Konvertieren von Multi-track HD Video M2TS, MKV, AVCHD, HDTV BDAV und MPEG-TS. Darüber hinaus unterstützt HD Video Converter Factory Pro die neuste H265 (HEVC) Verschlüsselung - zusätzlich zu 4K (UHD) Video sowie VP9 (und über 200 weitere Videoformate), Intel Core TM, NVIDIA CUDATM sowie AMD und bietet euch einfaches Bearbeiten von Videos vor dem Konvertieren und Hochladen. So könnt ihr Videos von Facebook, Liveleak, Vimeo, MetaCafe usw. herunterladen und diese auf eure tragbaren Geräte übertragen. Wir bieten euch 60% RABATT (nur $19.95) auf WonderFox HD Converter Factory Pro Family Pack (3 PC). WonderFox Video Watermark schützt eure Urheberrechte an Videodateien, indem es ihnen einzigartige Wasserzeichen hinzufügt. Mit WonderFox Video Watermark können Text-, Bild-, Logo-, Signatur- (auch animiert) und weitere Wasserzeichentypen in eure Videodateien integriert werden. Darüber hinaus könnt ihr zwischen beliebten Videoformaten konvertieren. WonderFox Video Watermark 50% RABATT ($16.95 für 1 PC). WonderFox DVD Video Converter hilft euch beim Schützen der DVD-Originale und erstellt Backup-Dateien ohne jeglichen Qualitätsverlust. Kompatibel mit den neuesten Geräten wie z.B. iPhone 6S (Plus), Apple TV 3, Samsung GALAXY S6 edge+, neue Fernseher usw. WonderFox DVD Video Converter 40% RABATT ($24.95 für 1 PC). Lizenzkey funktioniert auch mit der Version von der Herstellerseite. Programm lies sich anstandslos herunterladen und entpacken. Beim Setup keine Fehlermeldung - dann kommt die Meldung dass das Programm Ordnungsgemäß aktiviert ist - aber vom Programm selber keine Spur. Anscheinend ein verfrühter Aprilscherz. Lässt sich problemlos installieren und aktivieren. Was habt ihr denn! Ist halt ein Konverter, ja. Aber er macht seinen Dienst und tut das was er soll. Die Einstellungen kapiert jeder Hauptschüler. Natürlich auf englisch, also nix für die Deutschländerwürstchen hier. Cropp, Trim, Download von Videos und ein paar Effekte sind auch dabei. Ich kriege immer nur die Meldung wen ich Setup.exe starte "Failed to launch the Program" was für ein Mist. Michael Jaekel, oft hilft es, wenn man mal kurzfristig das installierte Antivirenprogramm deaktiviert und dann es nochmals probiert. Was bringt es SD in HD zu konvertieren? Gar nichts...ausser einer grösseren Datei. würde, sollte ich schon zig-verschiedene Konverter auf der Festplatte haben ! Daher gibt es nur eines - DAUMEN RUNTER !! Und regelmässig grüsst das *Konverter - Tier*.. Wenns nach GAOTD gehen würde, sollte ich schon zig-verschiedene Konverter auf der Festplatte haben ! Daher gibt es nur eines - DAUMEN RUNTER !! It has been a loooooooong time since the last giveaway of WonderFox HD Video Converter Factory Pro was distributed at GOTD. We’re pleased to inform you that this software has been updated to V9.4 with lots of great improvements.To make users experience the great changes, we are holding the new giveaway exclusively for you. Here, if you want to enjoy the lifetime free upgrades and speedy tech support service, we’d like to offer you a 60% OFF WonderFox HD Converter Factory Pro Family Pack (3 PCs). It's only $19.95. Our software become better. It really couldn't have happened without your supports. To express our deep gratitude and also to celebrate Easter, here's an extra offer for GOTD users. We hope you will like it! Free upgrade for life, up to 50x speed up conversion, $6 coupon towards other wonderfox products, vip customer service, 30 day unconditional money back guarantee. Hangon what's that "Up to 50X speed up conversion" The giveaway is not the fully licensed commercial version but a cut down and in some way crippled in conversion speed? This version does have option to enable/disable GPU acceleration, is that real or just a cosmetic feature in this giveaway? It certainly does use both my CPU cores during conversion but CPUID hardware monitor did not show any additional GPU usage during conversion to AVC H.264 format. just done a conversion from an xvid avi to an AVC avi and upon completion a popup announced that i was using the giveaway version and for a discount i could upgrade to their full version that will allow me to enjoy: Free upgrade for life, up to 50x speed up conversion, $6 coupon towards other wonderfox products, vip customer service, 30 day unconditional money back guarantee. Hangon what's that "Up to 50X speed up conversion" The giveaway is not the fully licensed commercial version but a cut down and in some way crippled in conversion speed? This version does have option to enable/disable GPU acceleration, is that real or just a cosmetic feature in this giveaway? It certainly does use both my CPU cores during conversion but CPUID hardware monitor did not show any additional GPU usage during conversion to AVC H.264 format. Installed and registered without any problems on Win 10. Couldn't get the drag and drop to work, had to go through the menu to add a file to convert, and started with a 932mb video file, set it to 720P (hd) and that bumped up the file size to 3.8GB. Seems large, but I'm ok with that. Conversion ran quickly, about 4% done in under 5 seconds (converting while I'm writing this out) Has a small "preview" window showing images of the movie while it's converting. Comparing the two videos, I'm not really seeing much change at all. screen is slightly larger, but graphics pretty much look the same. This does however, convert quickly and efficiently, and a lot better than Aiseesoft video converter that i've been using. Haven't played with the cutting, or merging, or...anything else except converting, but first impressions are really good. If the resulting video is no better, but four times the size, why would you want to do it in the first place? Levitiquetus, If the resulting video is no better, but four times the size, why would you want to do it in the first place? "started with a 932mb video file, set it to 720P (hd) and that bumped up the file size to 3.8GB"
The size of a video file is determined partly by the frame size -- 4k has more pixels per frame than 1080p, which has more than 720p, which has more than 480i etc. The more pixels you have, the more storage space it takes to store them. Fps [Frames Per Second] has a similar effect -- the more frames in a video the more pixels it has to store. The method of video compression, & the settings used for that, also have a big effect. H.264 [AVC] is arguably the most popular, & it's more efficient than mpg2 or Xvid [often called DivX in these sorts of apps], so files at the same quality will be smaller. There are quality settings, plus bit rate settings which also effect quality -- lower quality &/or lower bit rate settings make for smaller file sizes. H.265 & WebM are similar in working the same way re: file size. "Comparing the two videos, I'm not really seeing much change at all"
You will ALWAYS have generational loss when you re-encode video, because the methods &/or codecs are lossy, meaning basically that some data is tossed out. That you didn't see much change is good -- my point is that you want to avoid re-encoding as possible because it will always have a cost in quality. Likewise I think you'll find that very often you'll get better results using the player to control the size of the picture, because of the quality that you lose re-sizing & then re-encoding. 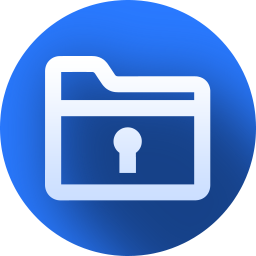 "This does however, convert quickly and efficiently, and a lot better than Aiseesoft video converter that i've been using." Most of these convertors use ffmpeg for decoding & re-encoding video. Similar QT code is usually used for re-sizing. Because of that, if one is noticeably faster than another, it's probably because of the encoding settings that were used. This can be important. Because you don't have access or control over many of the encoder settings in these converters, unless you check the results with something like MediaInfo & test it, you don't know if quality related settings or features have been turned off for the sake of speed. Likewise you don't know if the results are fully compatible with your intended viewing device. Levitiquetus, <i>"started with a 932mb video file, set it to 720P (hd) and that bumped up the file size to 3.8GB"</i> That because of the settings you used... The size of a video file is determined partly by the frame size -- 4k has more pixels per frame than 1080p, which has more than 720p, which has more than 480i etc. The more pixels you have, the more storage space it takes to store them. Fps [Frames Per Second] has a similar effect -- the more frames in a video the more pixels it has to store. The method of video compression, & the settings used for that, also have a big effect. H.264 [AVC] is arguably the most popular, & it's more efficient than mpg2 or Xvid [often called DivX in these sorts of apps], so files at the same quality will be smaller. There are quality settings, plus bit rate settings which also effect quality -- lower quality &/or lower bit rate settings make for smaller file sizes. H.265 & WebM are similar in working the same way re: file size. <i>"Comparing the two videos, I'm not really seeing much change at all"</i> You will ALWAYS have generational loss when you re-encode video, because the methods &/or codecs are lossy, meaning basically that some data is tossed out. That you didn't see much change is good -- my point is that you want to avoid re-encoding as possible because it will always have a cost in quality. Likewise I think you'll find that very often you'll get better results using the player to control the size of the picture, because of the quality that you lose re-sizing & then re-encoding. <i>"This does however, convert quickly and efficiently, and a lot better than Aiseesoft video converter that i've been using. "</i> Most of these convertors use ffmpeg for decoding & re-encoding video. Similar QT code is usually used for re-sizing. Because of that, if one is noticeably faster than another, it's probably because of the encoding settings that were used. This can be important. Because you don't have access or control over many of the encoder settings in these converters, unless you check the results with something like MediaInfo & test it, you don't know if quality related settings or features have been turned off for the sake of speed. Likewise you don't know if the results are fully compatible with your intended viewing device. How does one convert standard definition to HD if the original video was taken in SD?